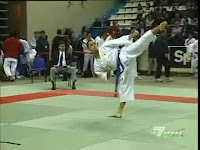 A free form kata by Lucio Maurino from Italy. This video was courtesy of La7Sport. Sochin kata from Shotokan version performed by Vincenzo Figgucio. 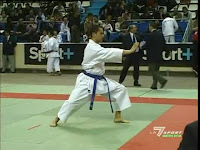 This kata was performed in France Open 2005. Sochin | Performer: Vincenzo Figgucio | Duration: 00:01:24 | Format: mpg | Video Size: 13,3 MB | Source : La7Sport | Player: Windows Media Player or Media Player Classic.